That’s FSBO: For Sale by Owner, and it’s the Road Less Travelled by area homeowners bent on selling a home in Sapphire as economically as possible. It does seem to make common sense, after all. It’s the homeowner who knows the ins and outs of their own home best—so who could be more qualified to show it off to the buyers who’ll be lined up, waiting to take a look? And even more to the point, why lose any part of the sale proceeds to some Sapphire real estate agent? It can’t be rocket science to fill out the paperwork and complete the sale. Isn’t that just common sense? What actually happens in a sale plays a large part, starting with an examination of the bottom line of actual sales. It reflects the fact that the customary commission percentage that goes to real estate professionals is split in two, with half going to the seller’s and half to the buyer’s agent. So the net “savings” a FSBO seller stands to realize is half of the usual initial assumption when the buyer is professionally introduced by the buyer’s representative. 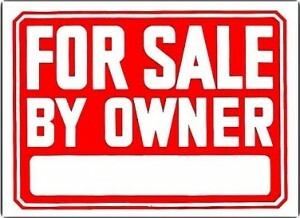 Unless the buyer just appears on his or her own. Which brings up a couple of other potential problems. If the buyer shows up on the seller’s doorstep, who has qualified him or her? (Short answer: nobody). It’s awkward and practically impossible for a homeowner to interview every prospective buyer in depth before showing the home, but having strangers in your Sapphire house with no outside record of the event is at best an iffy prospect. The fact is, most qualified home buyers see the advantage of teaming with a licensed Sapphire real estate agent, whose market knowledge is up to the minute, and who will assist them every step of the way at no cost to themselves. Those qualified buyers stand to be a FSBO’s likeliest prospects, in which case the potential ‘savings’ from a do-it-yourself strategy are halved. But as a working reality, FSBO sellers run a substantial risk that those hoped-for calls from active agents may be slow to materialize. It is often the case that local agents, noting that the home is a FSBO, place it low on the list of properties their clients have time to tour. Among other indicators, a FSBO listing on the MLS signals to the Sapphire real estate community that the owner is not truly serious about selling the home—else why is it not part of a professional office’s marketing package? Too, buyers’ agents work to protect their clients from difficult situations, and many FSBO sellers are not well-versed and experienced in negotiating and selling houses. Problems can erupt. All things being equal, it means that FSBOs get few showing requests. Plus, any advertising costs will be paid for out of the owner’s own pocket—an expensive strategy. It’s pretty clear why almost 9 out of 10 homeowners selling a home go with a qualified real estate agent. I hope you agree—and decide to give me a call!